Adams, Charles Edward "Chas., Charlie"
His family moved to western New York shortly after he was born. He moved to the Dakota Territory (North Dakota) in 1882, with his parents. He moved to Duluth, Minnesota in 1900. 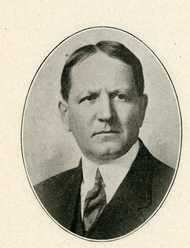 Senator Charles E. Adams served as lieutenant governor from June 25, 1929 to January 6, 1931. Lt. 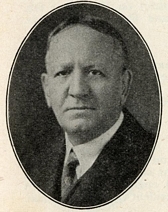 Governor William Nolan resigned in June 1929 when he was elected to the U.S. House of Representatives in a special election. While Sen. Adams served as lieutenant governor, the senate never met in session. Governor Floyd B. Olson and Lt. 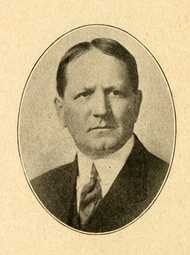 Governor Henry M. Arens were elected to their respective offices in the 1930 election and took office in January 1931. Sen. Adams ran for and won re-election to his senate seat in the 1930 election, taking office again as a state senator in January 1931. He was a member of the Republican Party when he served as Minnesota Lieutenant Governor. He played quarterback and halfback on the University of Minnesota's football team, 1893-1895. He was a member of the Phi Delta Theta Fraternity. He was a member of the St. Louis County Historical Society. He attended the First Congregational Church in Minneapolis, Minnesota until he moved to Duluth, Minnesota where he attended Pilgrim Congregational Church. He was a member of the Scottish Rite Masons. Religion provided by the Journal of the Minnesota Senate, March 18, 1937, p. 660. Session Notes: Senator Charles E. Adams served as lieutenant governor from June 25, 1929 to January 6, 1931. Lt. 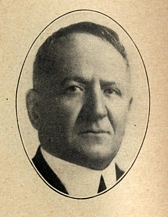 Governor William Nolan resigned in June 1929 when he was elected to the U.S. House of Representatives in a special election. While Sen. Adams served as lieutenant governor, the senate never met in session. Governor Floyd B. Olson and Lt. 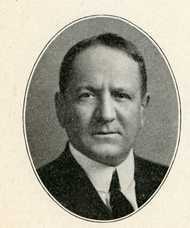 Governor Henry M. Arens were elected to their respective offices in the 1930 election and took office in January 1931. Sen. Adams ran for and won re-election to his senate seat in the 1930 election, taking office again as a state senator in January 1931. In Memoriam: Claude H. MacKenzie, Harlow H. Bonniwell, Patrick W. Morrison and Charles E. Adams. State of Minnesota Senate Chamber, March 18, 1937. Tribute to Senator Charles Edward Adams, Minnesota Journal of the Senate, March 18, 1937, p. 659-661. Charles E. (Edward) Adams. Biographical Information from the Minnesota Historical Society's Governors of Minnesota.